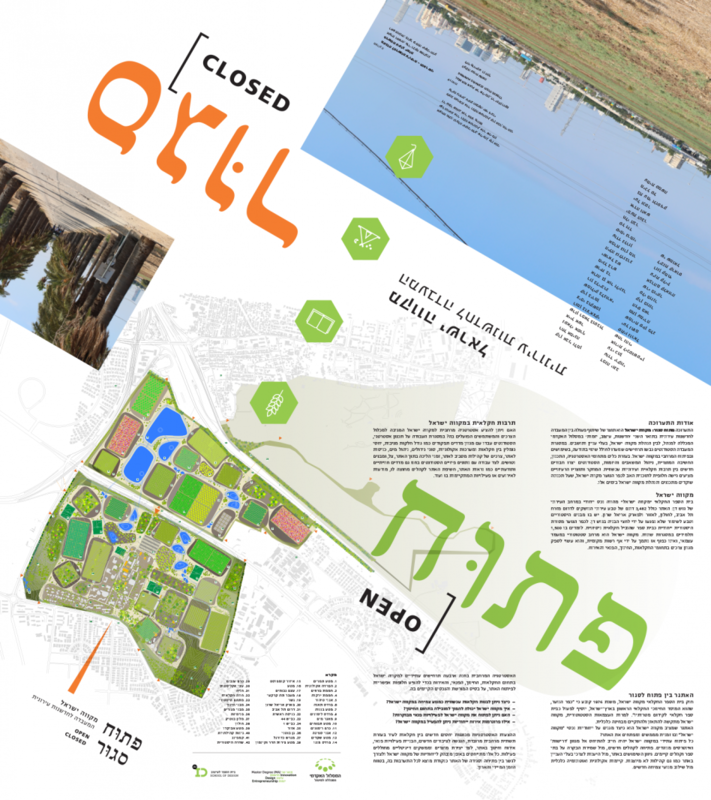 ‘Open-Closed/Mikve Israel’ is an exhibit showcasing a spatial strategy for an urban agricultural park on the grounds of the historic Mikveh Israel Agri-cultural School. Located at the center of the Gush Dan metropolitan area, Mikveh Israel is home to a historic agricultural school with 3,482 dunam of defunct agricultural fields. All closed to general the public. While Mikveh Israel has successfully resisted real-estate pressures, it is currently seeking a path towards economic viability. How can Mikveh Israel protect its unique legacy, while opening itself up to new users, ecological sustainability and economic autonomy through new growth engines? 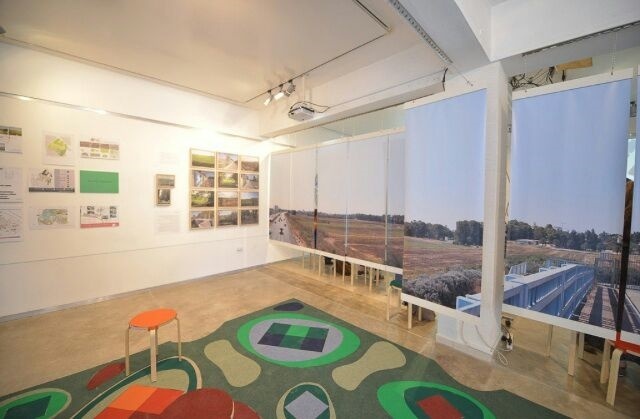 ‘Open-Closed: Mikveh Israel’ offers a spatial strategy capable of responding to a myriad of programmatic, ecological, experiential, social and economic needs across the site. The project was undertaken as a collaboration between MA ‘Design Innovation’ students, the community and Mikveh Israel representatives. 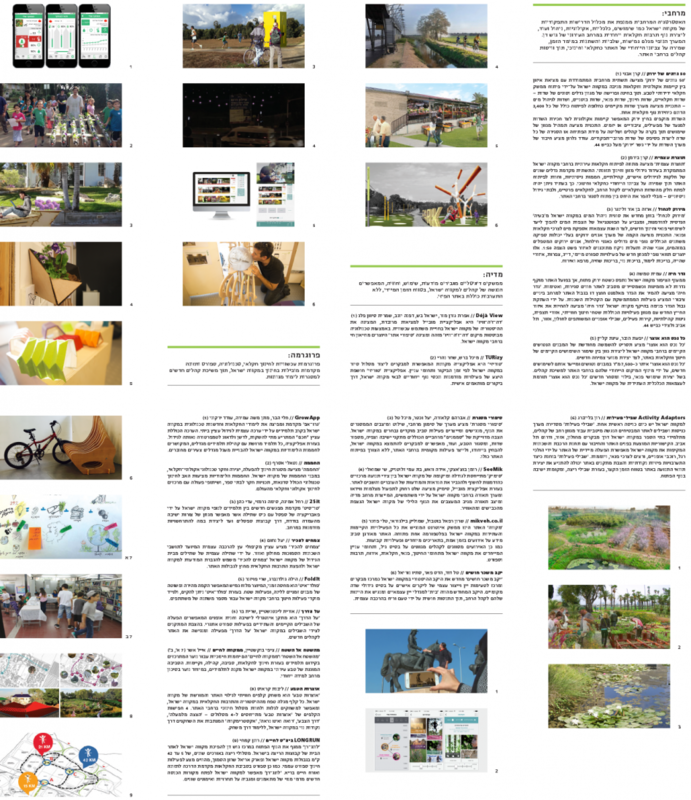 Students worked with a variety of performative criteria including plot sizes and yields, synergies and conflicts between agriculture and ecosystems, water management, existing and new uses and the re-use potential of existing buildings. In addition, students mapped Mikveh Israel’s visibility and mindshare among potential visitors. 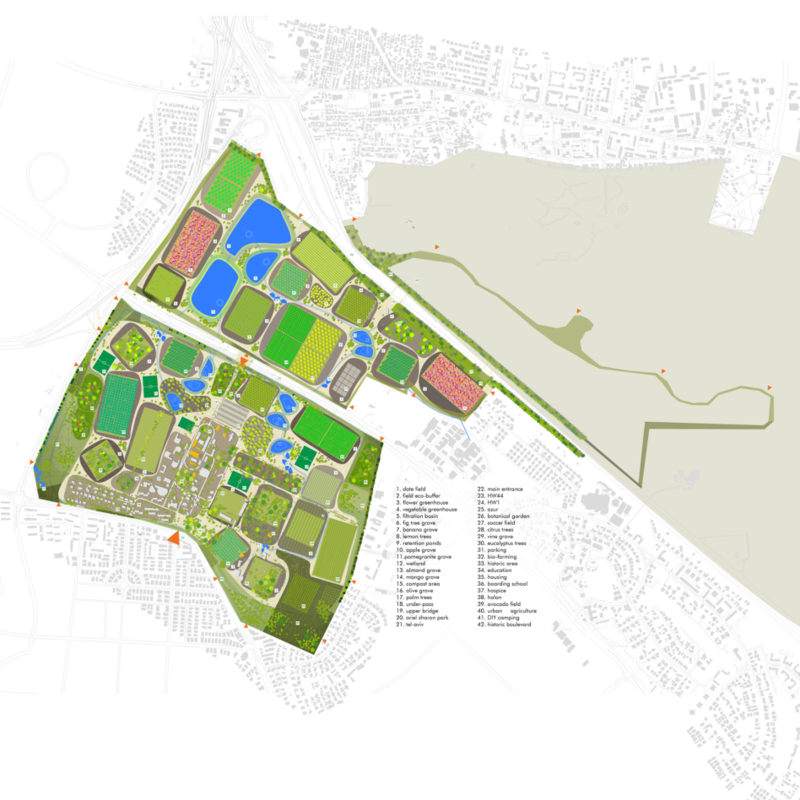 Focusing on agriculture, education, leisure, and hospitality the plan forges new relations between agriculture, users and uses while affording different degrees of accessibility to form a new urban agri-park for Mikveh Israel’s evolution.